An uplifting and warm-hearted character study that owes as much of its delight to a charming performance by Geoffrey Rush as it does to a structure built upon depicting a Change Main Character who grows out of seemingly insurmountable odds (Stop/Good) to overcome his personal issues. 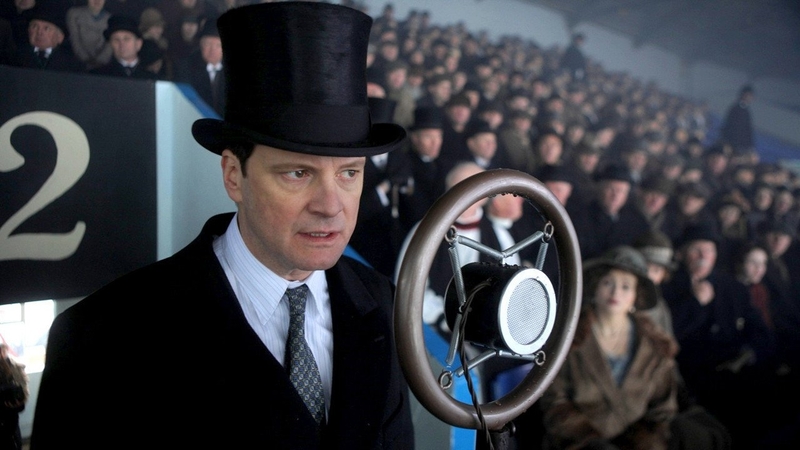 Appearances are at the heart of issues within The King’s Speech, and the Duke of York (Colin Firth as Protagonist) does his best to keep up the show by being the King his subjects so desperately need (Story Goal of Being). Bertie’s change develops as a consequence of his relationship with Lionel Logue (Geoffrey Rush), a speech therapist from the other side of the tracks who demands the two be treated as equals (Impact Character Throughline of Situation). This unique perspective works wonders on the Duke’s personal issues of feeling less-than-equal in matters of royalty (Main Character Throughline of Fixed Attitude). Together, the two develop an unlikely friendship as they work to overcome Bertie’s speech impediment (Relationship Story Throughline of Activities & Relationship Story Problem of Test). Decisions both bad and good (bad on the part of the Duke’s brother David (Guy Pearce) and good on the part of our Hero to continue services with Lionel) propel this film to its Triumphant ending (Story Driver of Decision, Story Outcome of Success). While not overly complex, the film delivers a meaningful example of what can happen when one brings themselves into alignment (Main Character Solution of Non-Accurate) by focusing on doing, rather than worrying endlessly upon the end results (Influence Character Problem of Process). Oh, and a brilliant use of Beethoven’s 7th Symphony.